“Life is chance,” Philip Togni says. It’s a misty, foggy morning at the top of Spring Mountain. The winery at Togni’s eponymous vineyard is sparse: wooden ceiling, concrete walls and floors, occupied only by a few rows of barrels. It’s a simple operation. The family of three—Philip, wife Birgitta and daughter Lisa, who will take over the winery from her father—make about 2,000 cases a year from the 25-acre estate. Philip, who will celebrate his 93rd birthday and 66th vintage this year, has been making wine in Napa since the 1950s. Before founding his own winery in 1981, he worked for some of the valley’s top wineries, crafting wines like the 1969 Chappellet, widely considered one of the greatest wines ever made in California. Winemakers often come to the craft via circuitous routes, so I ask Philip how it all started. From the swamps of South America, Philip traveled back to Europe. “More or less by chance I was in Spain and saw these grape vines stretching to the horizon. It seemed very appealing.” Winemaking was calling him again. “I had a great stroke of luck. I was introduced to Maynard Amarine, who happened to be in Madrid at the time.” Amarine encouraged him to go to school for oenology if he wished to become a winegrower. As luck—or as Philip would call it, chance—would have it, the University of Bordeaux had just instituted its national diploma in oenology. “Chance is everything,” Philip emphasizes again. “I just walked in.” Along with four other students, Philip graduated with the university’s first Diplôme National d’Oenologie, having studied under Émile Peynaud. During that time, he also worked with Alexis Lichine as assistant régisseur at Château Lascombes in Margaux. 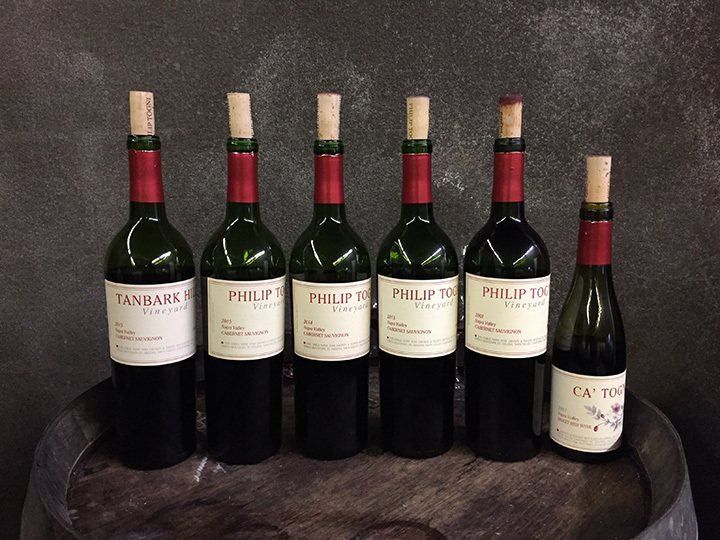 Philip moved around the valley, working for wineries like Gallo, Inglenook and Chalone. In the 1960s, he was introduced to Donn Chappellet. “He wanted to get into the wine business and asked if I would help,” he says of the encounter. “He had one original notion of staying off the valley floor. 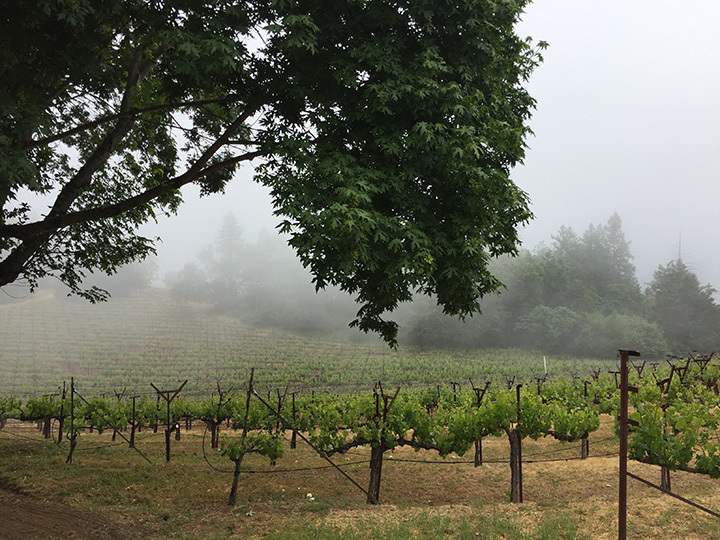 There wasn’t much on Pritchard Hill.” He helped Donn establish Chappellet, one of the first high-elevation wineries in Napa. He also made the 1969 Cabernet Sauvignon, which has been heralded as one of the greatest California wines ever made (and given a 100-point score by The Wine Advocate). Nearly 50 years later, Philip is humble about his accomplishments. “The miracle of the 1969 Chappellet I can’t explain,” he says simply. Philip Togni vineyard is located at the top of Spring Mountain in the Napa Valley. In 1975, Philip and Birgitta discovered a property for sale at the top of Spring Mountain. “I was working at Cuvaison as winemaker. We needed somewhere to live, and this was within reach.” Ironically it was, and still is, an isolated spot. “The realtor couldn’t find where it was,” Philip remembers. “He parked down the road and gave us a sketch map and compass and said, ‘it’s somewhere up there.’” The property encompassed 25 acres, but the Tognis didn’t know if the land was viable for grapes. “We didn’t really know if the land was plantable,” Philip says, “but my wife was very persuasive that we should get vines in the ground.” In 1981 the couple planted four-and-a-half acres, the beginning of their eponymous winery. “I’m a great believer in keeping it simple,” Philip says of his winemaking style. Our Oregon reviewer shares her highlights from the year.